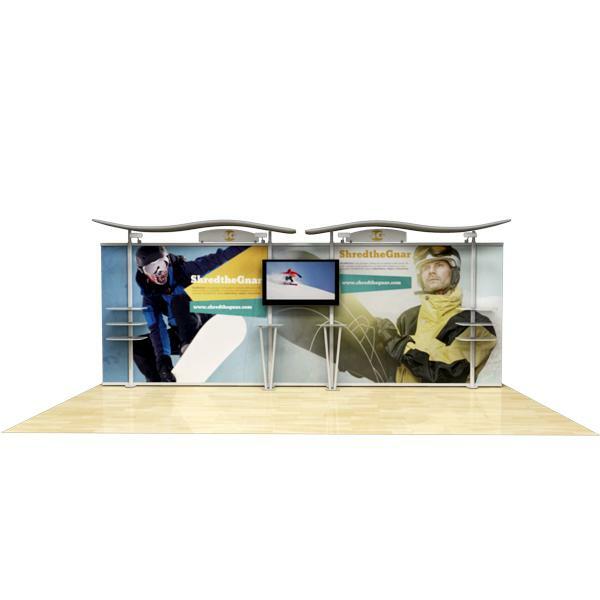 Our 10′ and 20′ Hybrid Display systems are the answer to your affordable premium hi-tech display needs. Simplicity with beauty and quality construction are the hallmarks of this display. 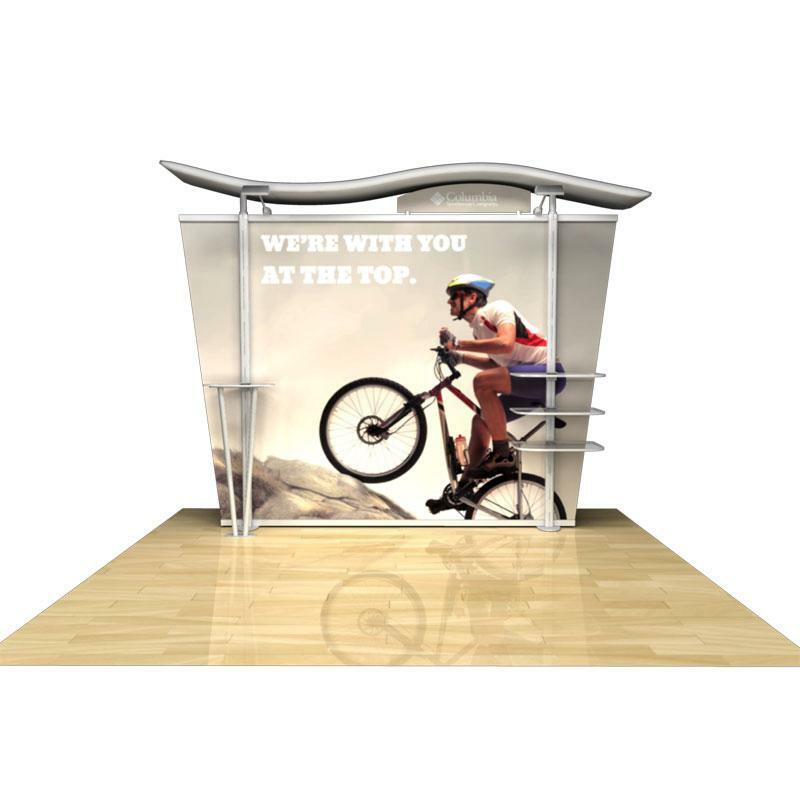 A wide array of optional design features will spotlight your company’s products and services. 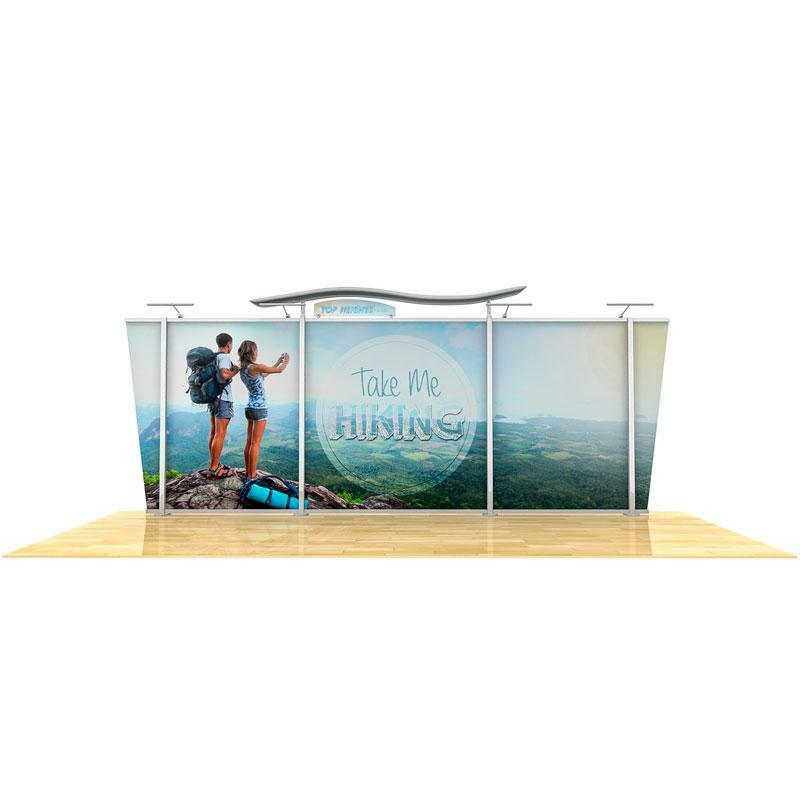 (See pull-down menu for details) Graphics are available in your choice of either a 3-piece roll-on ink-jet mural (rigid 5 millimeter white poly film encapsulated between a 10 millimeter front and back or dye-sub printed tension fabric. 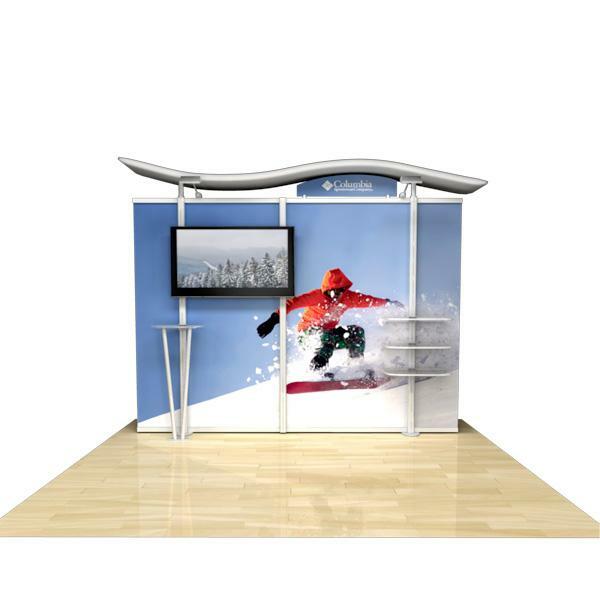 Magnets keep the 3-piece graphic panels securely attached. 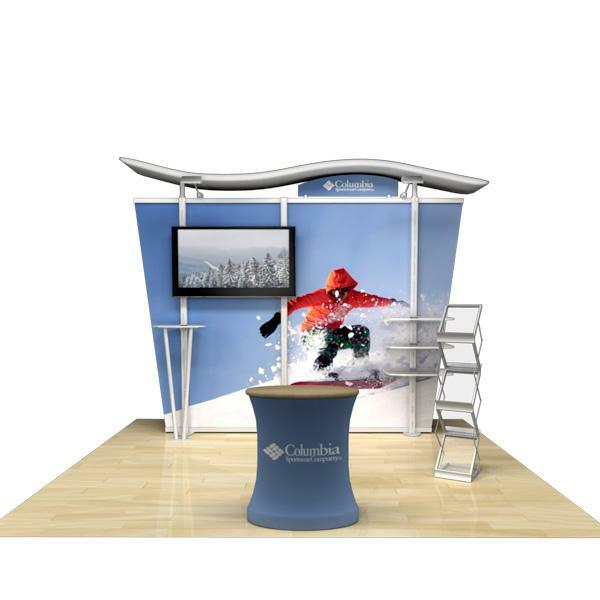 Your graphics of choice measure 81.15″ width and a height of 84.875″. A wide variety of upgrades and optional furnishings are, of course, available on all Hybrid Modular Display Systems to make your custom unit as unique as your firm’s offering. 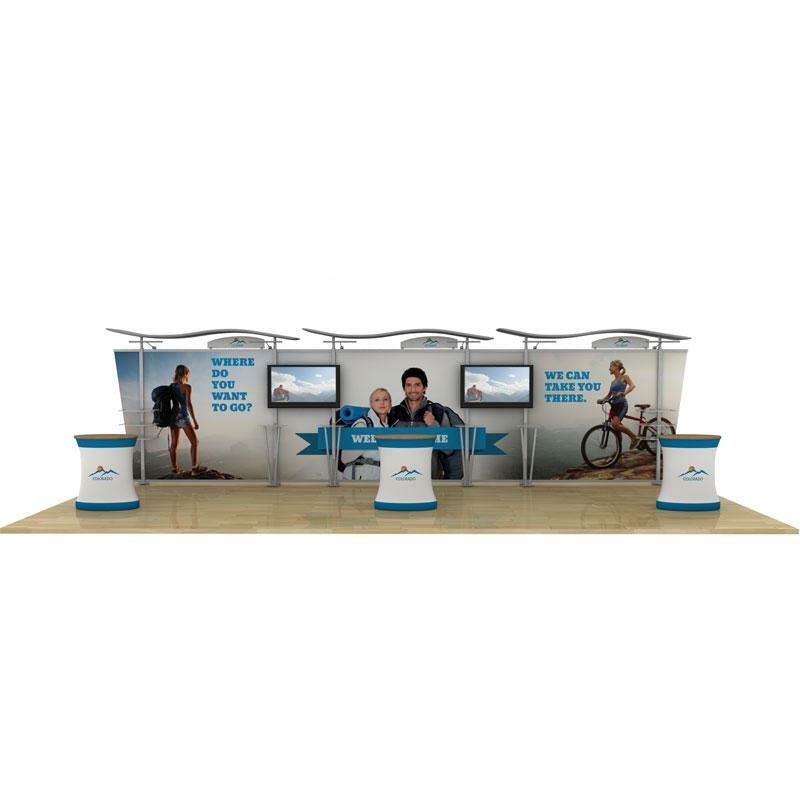 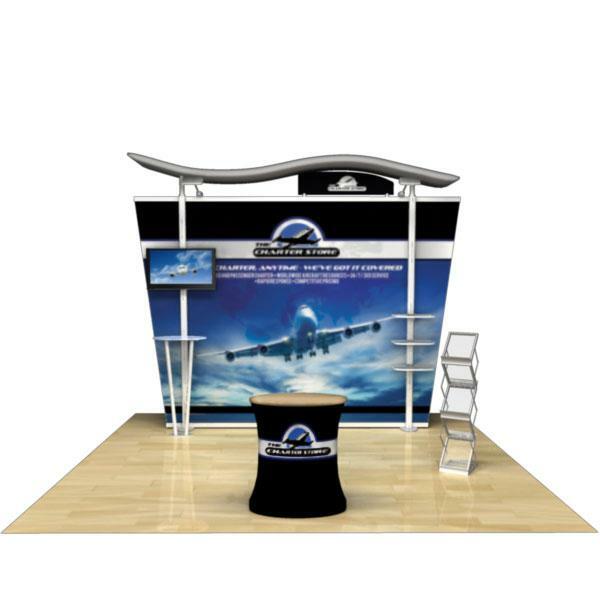 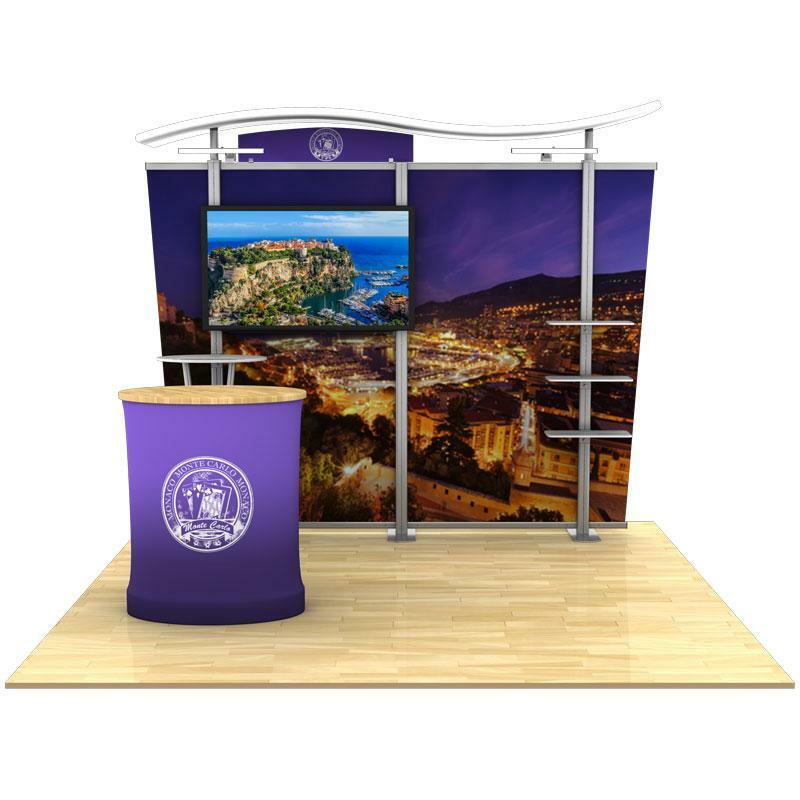 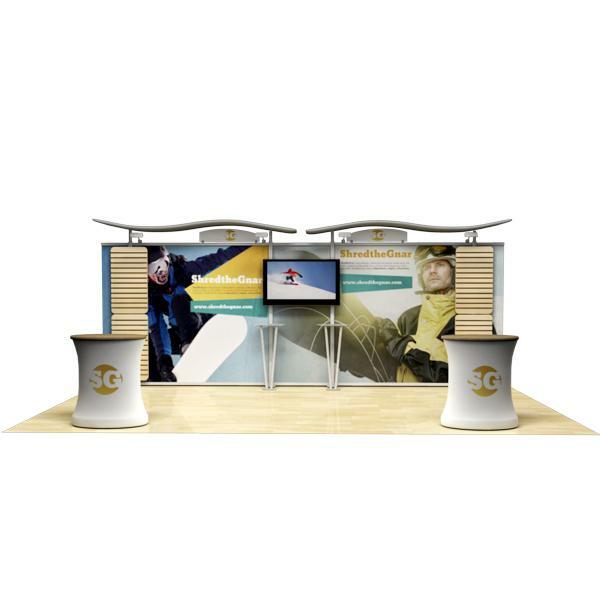 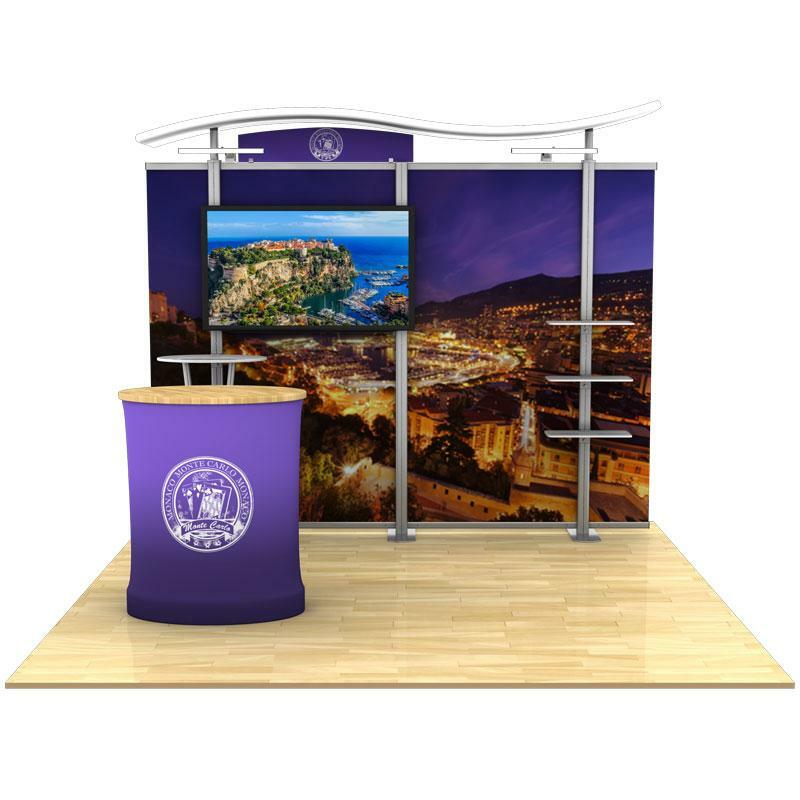 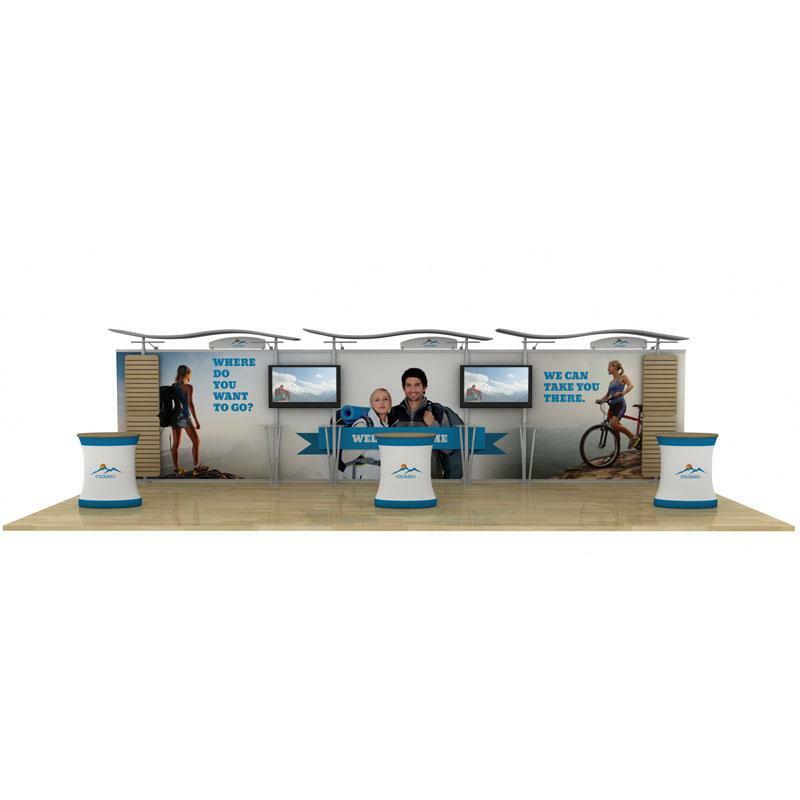 The 10ft hybrid with its unique-styled design that is a perfect choice for any type of exhibition booth in the US. 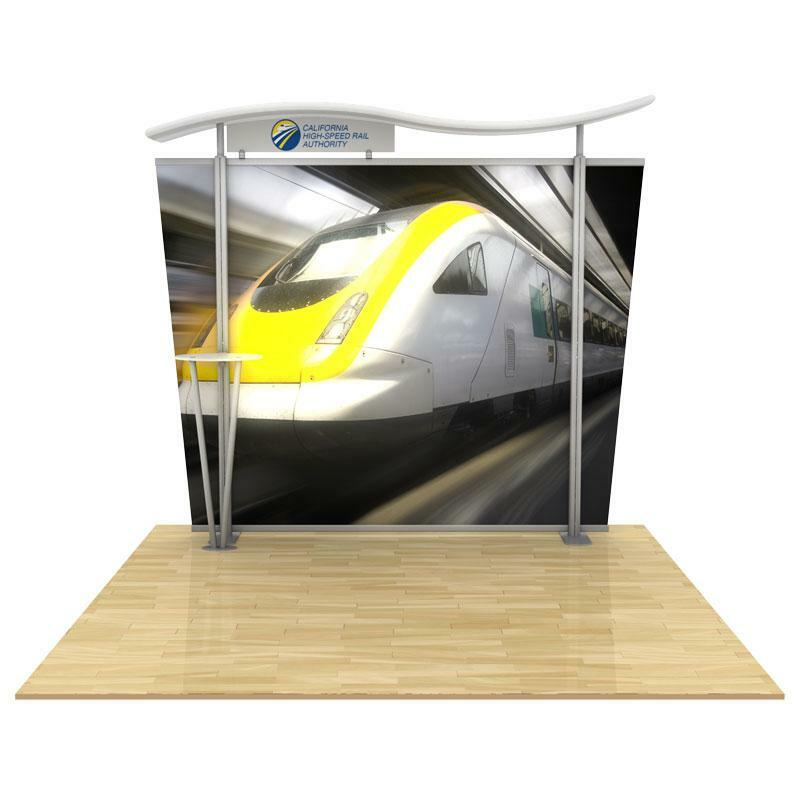 We can customize your 10ft or 20ft hybrid to include a free-standing counters, your own dye-sub graphics or a roll-on graphics mural. 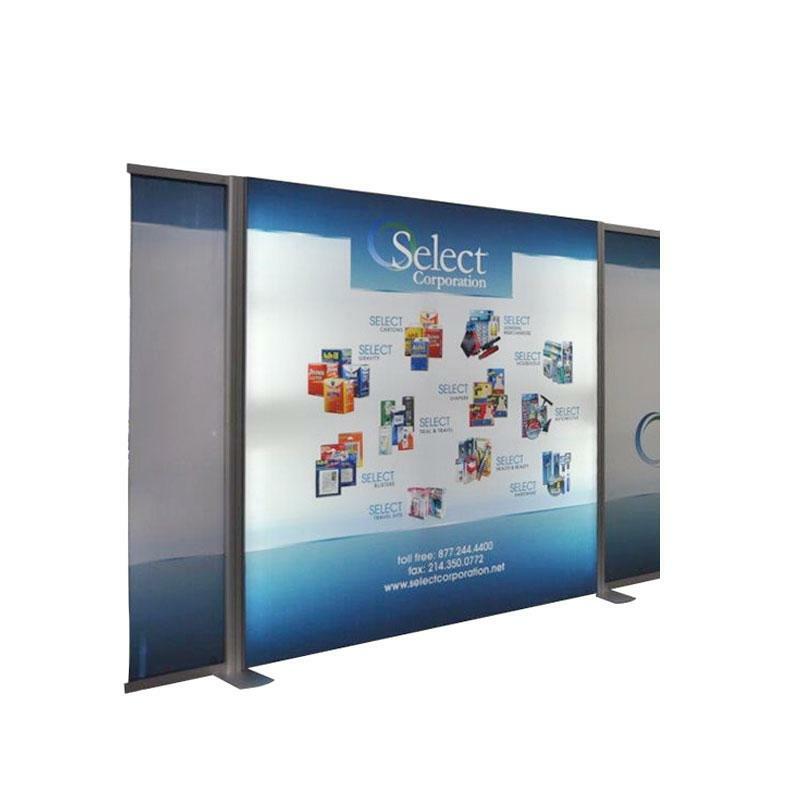 Choose from halogen or Vegas safe-ignhting, attachable shelving, or even a Vesa monitor compatible mounting kit. 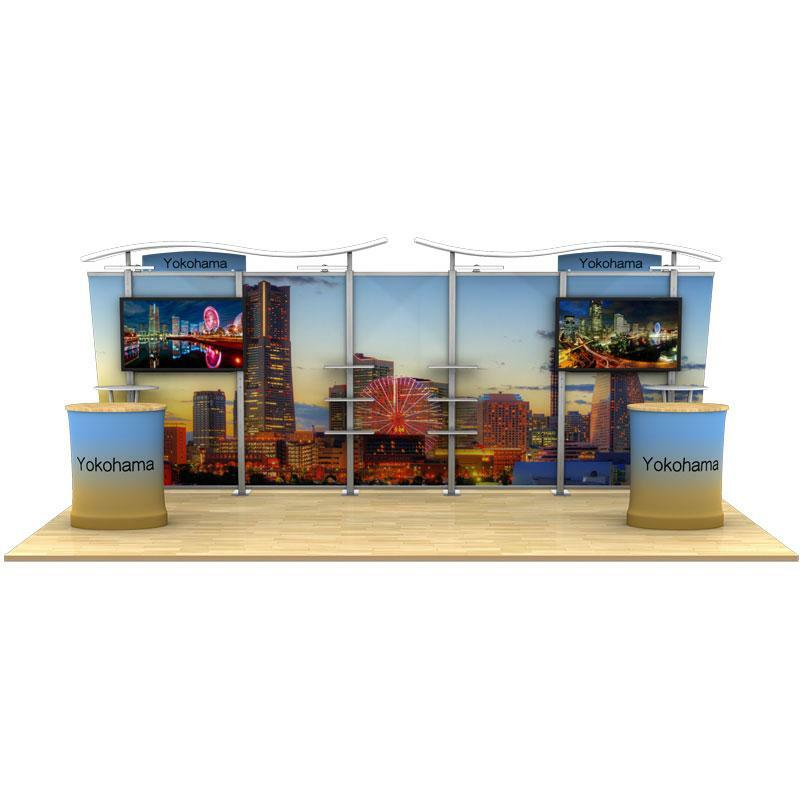 The hybrid economy modular display system is shipped with a Rotomolded, wheeled cases for easy transport and lockable storage.